Streamlabs has teamed up with hardware partners Intel, Zotac, Acer, Simply NUC, and Shuttle to create easy plug-and-play streaming PCs. These mini PCs, some no bigger than 4-inches tall and 4-inches wide, are built to accommodate enough CPU power to enable easy 1080p60 streaming right out of the box. Streaming has become the pastime for a growing generation, and, whether as a viewer or creator, gamers have been fueling a booming content creation industry. But streaming still has some hang ups, and the formula hasn’t quite been perfected yet. There’s still a prevalent barrier to entry when making the change from audience to participant: the hardware. It’s a problem I’m all too familiar after spending hours figuring out the perplexing jumble of cables and equipment that is the PCGamesN streaming booth. The people behind SLOBS – a rather unfortunate acronym for Streamlabs OBS – want to simplify the entire streaming process. 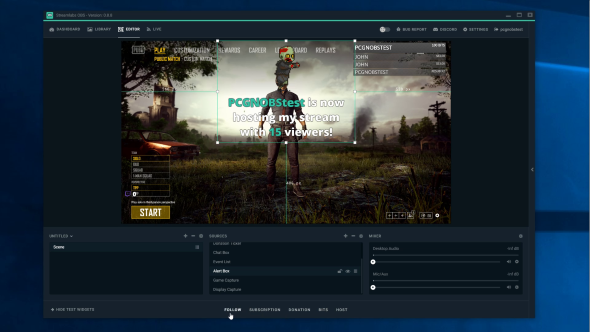 The company already tweaked the formula of the Open Broadcaster Software to create SLOBS – free broadcasting software used by 40% of Twitch streamers – but now it has its sights set on hardware and creating an easy (or easier) path into streaming. “Our goal with the personal streaming PCs was to build simplicity into the complex process of setting up a streaming rig,” Ali Moiz, CEO of Streamlabs, tells PCGamesN, “which is something that everyone in the streaming industry can get behind. 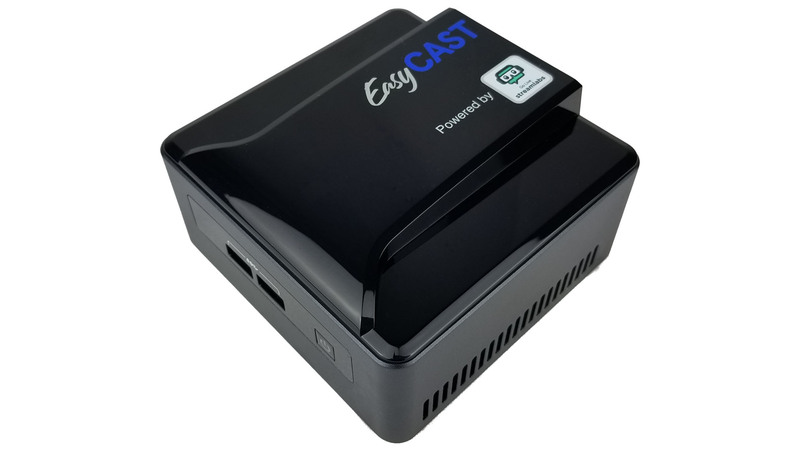 SimplyNUC’s EasyCAST will be the first device out the door in partnership with Streamlabs. 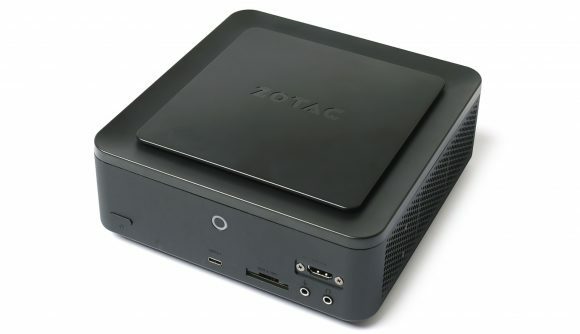 This will be joined by upcoming products from Zotac and Shuttle in Q1 2019. Acer is also announcing a live streaming PC concept at this year’s Twitchcon – running from October 26 – 29. Moiz is hoping the initial run will entice further manufacturers to follow suite with their own streaming PC concepts. The common thread between the devices we’ve seen so far is their compact size, Intel processor, stream- and capture-friendly I/O, and, of course, they all come preloaded with optimised Streamlabs software. Aside from that, it looks like manufacturers are free to experiment with the formula to their liking, so long as the PC maintains the ability to manage a reliable 1080p 60fps stream. But whether these small form-factor PCs appeal to entry-level users all comes down to price. The second PC streaming setup is rarely a cost-effective option, after all. If these machines are anything like their compact counterparts, Intel’s NUC, they won’t come cheap. The CPU within their compact shell needs at least moderate power to be able to deliver a consistent stream, at least until new video compression standards enter the fore. Similarly capable NUCs fitted with Intel i5 processors often cost upwards of £400. Building a dedicated PC solely to tackle the CPU-intensive streaming workload is the de facto standard for professional streamers, yet an unattainable marker for many delving into content creation for the first time. An industry-wide push into easy, affordable, and compact kit to ease the burden of technical knowledge has the potential to turbocharge streaming’s inevitable expansion, but only if it can deliver the power without the price tag.